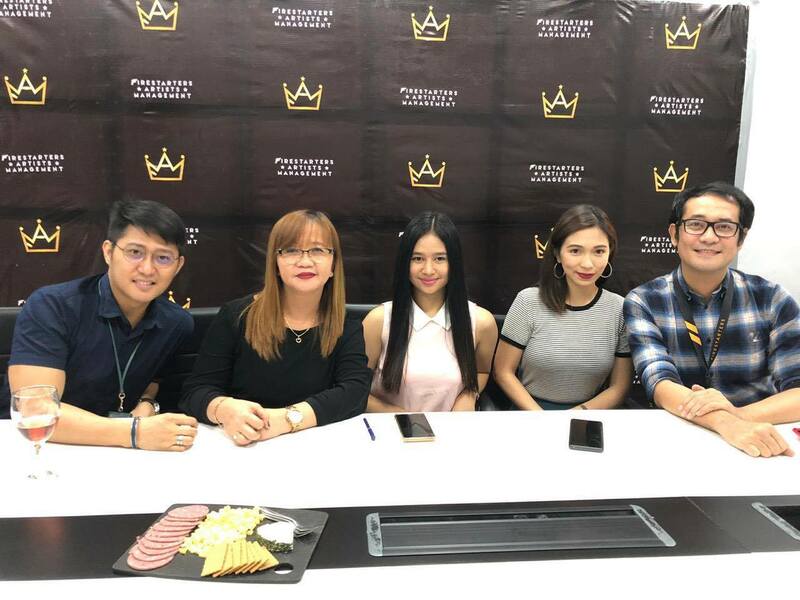 Actress, model, product endorser and influencer Regine Angeles and teen actress Alex San Agustin, officially signed a contract with Firestarters Artists Management and Entertainment (FAME) last March 13, 2019 (Wednesday) at Firestarters office in Timog, Quezon City. Regine discovered her interest in showbiz after winning “Be Bench/the Model search” of ABS-CBN. 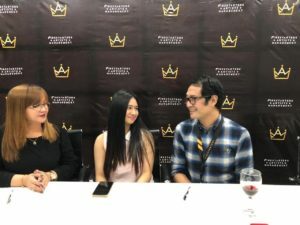 After deciding to pursue this path further, she was able to land her recent roles in “Maala-ala mo kaya: Manibela” as Melody, and “La Luna Sangre” as Vanessa on ABS-CBN. Most of her notable works are mainly with ABS-CBN—the Kapamilya channel. In terms of her modelling career, Regine was featured on the cover of Maxim Philippines last October 2008 issue, and FHM Philippines on the April 2011 issue. Alex San Agustin is a Theatre and Dramatic teen actress who played Nora Aunor’s daughter in “Kabisera” 2016. She also appeared in a branded short film and played as a daughter of Sheenly Gener in “Kwentong Christmas” 2018. Officially, they want to start it with a lasting impact, especially Regine, since it’s been awhile since she was seen on television and acquire a project after having her first child. Now that she’s ready to conquer the showbiz industry again as an actress, she is eager and excited to have a scene in a new environment with other promising artists. Alex is also looking forward to land different roles along with artists she could learn from to be even more successful in her field of choice. 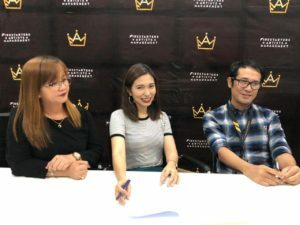 After signing their contract with Firestarters Artists Management and Entertainment (FAME) headed by Jon Verzosa and Silvia Malupeng, they are optimistic, motivated, and grateful to have found people who make them feel valued not just as artists but as family too.